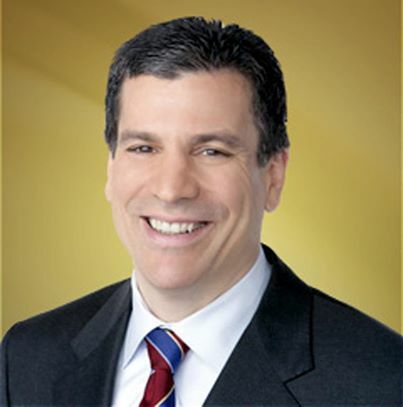 Charles Gasparino is senior correspondent for FOX Business Network, an award-winning business journalist, and New York Times best-selling author of The Sellout: How Three Decades of Wall Street Greed and Government Mismanagement Destroyed the Global Financial System.He joined FOX Business Network in February 2010. Gasparino provides on-air reporting throughout the business day for the network, covering the latest news from the financial world. Prior to joining FBN, he was an on-air editor for CNBC where he was responsible for breaking some of the biggest stories affecting the financial markets during the recent financial crisis, including the first reports of AIG's government bailout, details behind the collapse of Lehman Brothers and the shakeups at Merrill Lynch and Morgan Stanley. A sought after speaker at financial institutions, business conferences, and universities, Gasparino shares his inside knowledge of Wall Street and the world of finance to tell audiences how we plummeted into a Great Recession, what's really going on with the economy, and what it means for the road ahead. Before joining CNBC, he was a senior writer at Newsweek Magazine where he broke major stories involving Wall Street and corporate America, including developments at the New York Stock Exchange under Richard Grasso and former New York Attorney General Eliot Spitzer's crackdown on corporate crime. Gasparino also served as a writer for the Wall Street Journal where he was nominated for the Pulitzer Prize in beat reporting in 2002 and won the New York Press Club award for best continuing coverage of the Wall Street research scandal. In 2003, he was nominated as part of a team of reporters for the paper's coverage of the New York Stock Exchange and the resignation of its former chairman Richard Grasso. A recipient of numerous business journalism awards, Gasparino is also the author of the best-selling financial books including, The Sellout and Blood on the Street: The Sensational Inside Story of How Wall Street Analysts Duped a Generation of Investors, as well as the critically acclaimed King of the Club: Richard Grasso and the Survival of the New York Stock Exchange.His latest book is Bought and Paid For: The Unholy Alliance Between Barack Obama and Wall Street. He has also served as a contributor to the Daily Beast, New York Magazine, and Forbes, among other publications. Gasparino's New York Times best-seller, The Sellout is the definitive book on the most recent volatile, anxiety-ridden era in our national's socioeconomic history. In his Sellout talks Gasparino demonstrates how the ongoing tumult in financial markets is part of a much larger story that entails some of our most esteemed financial institutions selling out their responsibility, not just to their own shareholders, but to millions of outside investors and to the American public itself. The Sellout won the book category of the IRE Awards. The awards, given by Investigative Reporters and Editors Inc. since 1979, recognize the most outstanding watchdog journalism of the year. Gasparino traces the implosion of the financial services business back to its roots in the late 1970s when Wall Street embraced a new business model predicated on taking enormous risks. He shows how a backwater business involving the trading of risky bonds packed with mortgages showered countless billions in profits on the financial industry but sowed the seeds of its ultimate demise. Gasparino walks audiences through Wall Street's three-decades' love affair with risk, revealing a trail of culpability-from the government bureaucrats who crafted housing policies that encouraged homeownership, to the Wall Street firms that underwrote and invested in risky debt, to the mortgage sellers who handed out loans to people without the financial wherewithal to pay them back, to the homeowners who became convinced that they could afford mansions on blue-collar wages. 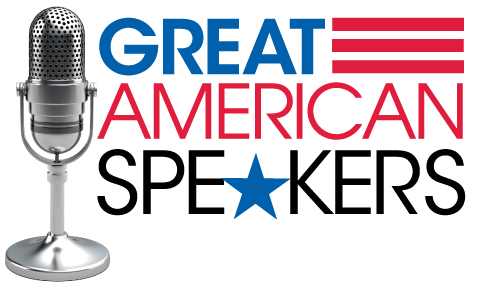 The ongoing tumult in financial markets and the global economy began when some of our most esteemed financial institutions, our government, and even average citizens abdicated their collective responsibilities, eventually selling out investors and selling off the American Dream itself. Gasparino relays how avarice, arrogance, and sheer stupidity eroded Wall Street's dominance and profoundly weakened the financial security of millions of middle-class Americans. In Bought and Paid For, Gasparino exposes the deep ties between the Obama administration and the big banks that are bankrupting our country. As the recession continues, President Obama has chastised the "fat cats" who feast off government bailout money while unemployment remains high and smaller businesses struggle. But according to Gasparino, President Obama is faking his outrage, and his calls for new policies to rein in banks that are "too big to fail" are just pabulum. In reality, Obama has climbed into bed with Wall Street CEOs, giving them what they want so they will support his liberal, big-government agenda. As a result, the big banks responsible for the credit crisis get rescued, while small businesses and ordinary Americans get crushed by higher taxes and irresponsible spending. Gasparino draws on interviews with dozens of key CEOs and political players to trace the roots of Wall Street's twisted love affair with one of the most liberal presidents in American history. He shows how, for decades, big banks and big business have colluded with big government, thereby laying the groundwork for today's shady dealings, and how the same bankers Obama now publicly reprimands have supported him - not because he promises change, but because he promises business. Written in Gasparino's characteristic smart yet no-nonsense style, this book is both an exposé and a wake-up call to all Americans to strike back. "Charlie Gasparino was great... as one of the top financial reporters on Wall Street , he held no punches discussing his inside knowledge (and opinions) of the greed and collusion with government that drove the financial sector to the brink... great Q&A and debate with the audience. Really compelling leadership stories of the the good, bad and very ugly."